From June to December, it is the best time to enjoy cuttlefish. When you put the raw cuttlefish into your mouth, you can enjoy the hard boiled and soft texture of cuttlefish. 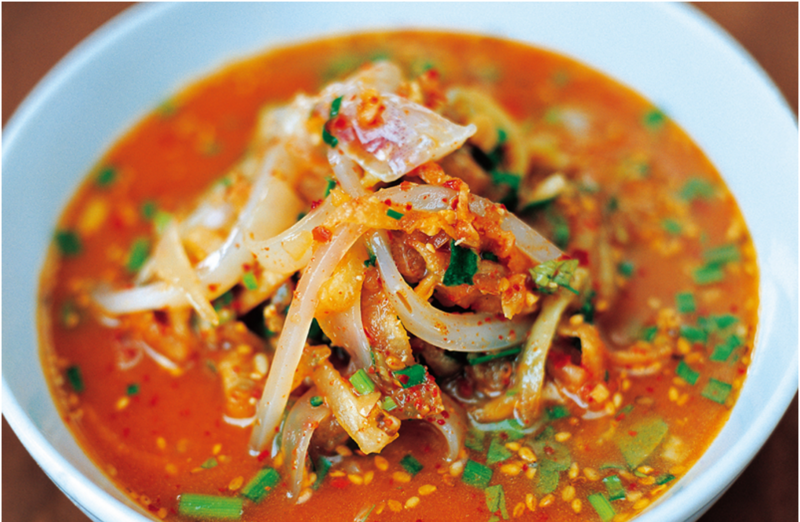 Cold raw cuttlefish soup is a substitute for the cold soup in summer. After slicing the raw cuttlefish and pour the water into the mixed cuttlefish with sauce. That’s why the name of cold raw cuttlefish is called ‘Mulhoe’. It was originally eaten in the summer by mixing various vegetables and raw cuttlefish with soybean paste when the food was not enough. However, it is now considered as a special local food. You can enjoy the cold raw cuttlefish soup at the Maeil Olle market in Seogwipo.